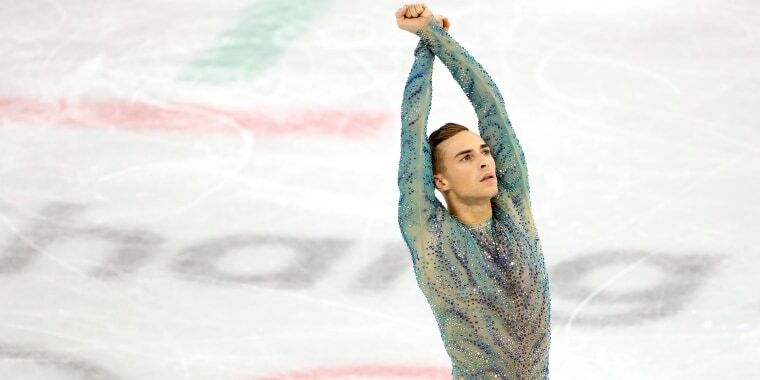 Six years before becoming the breakout skating star of the 2018 Winter Olympics, figure skater Adam Rippon struggled with no money or a place to live. Long before his breakout performance in Pyeongchang, U.S. Olympic skater Adam Rippon was on thin ice. The 28-year-old figure skater — who became an inspiration to many as the first openly gay athlete to medal at the Winter Olympics by winning a bronze in the team event — told CNBC's "Squawk Box" that he struggled outside the rink earlier in his career to keep his Olympic dream alive. "Six years ago, I had no money to my name. I was living in my coach's basement. I just leased a car and I got a letter in the mail saying that my credit was so bad that they needed to take the car back," Rippon told CNBC's Andrew Ross Sorkin. "My coach co-signed on the lease so that I could keep the car and he said: 'I trust you. And I trust that you're going to work hard.'" So he did. After making the 2010 Vancouver Games as an alternate, Rippon missed the cut for the 2014 Sochi Games. He never stopped triple-flipping and triple-looping his way forward, though, and made this year's squad — as the oldest first-time Olympian on the U.S. figure skating team since 1936. The Pennsylvania native entered these Winter Olympics as one of the few high-profile skaters without an endorsement deal — a status that won't last much longer. Not bad for a guy who once had to decide whether to spend his limited money on a gym or groceries. Of course, Rippon revealed to his Twitter followers on Feb. 3, he chose the former. "I would steal all the apples they had out for all the gym members because sometimes I wouldn’t have enough $$$ for groceries," Rippon tweeted.